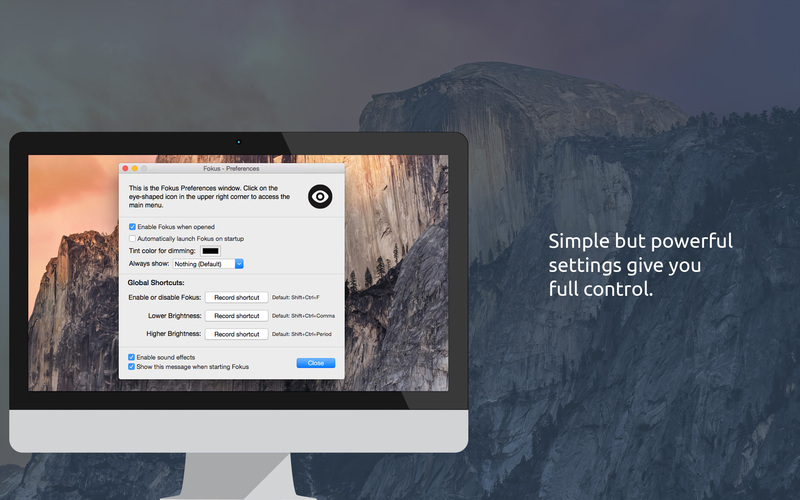 Fokus is a simple but powerful little application that adjusts the brightness of all background windows, so that you can more comfortably focus on one window or application at a time. 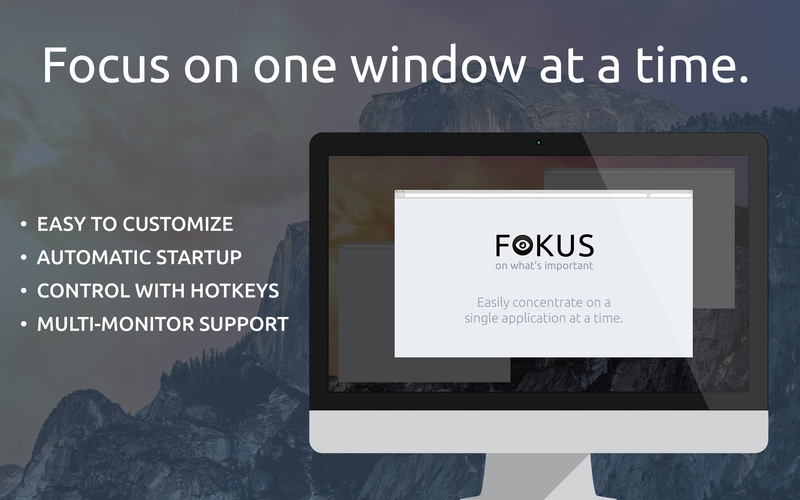 Fokus was developed with a specific need for being able to focus on one task at a time, for a long period of time, without inducing a headache. 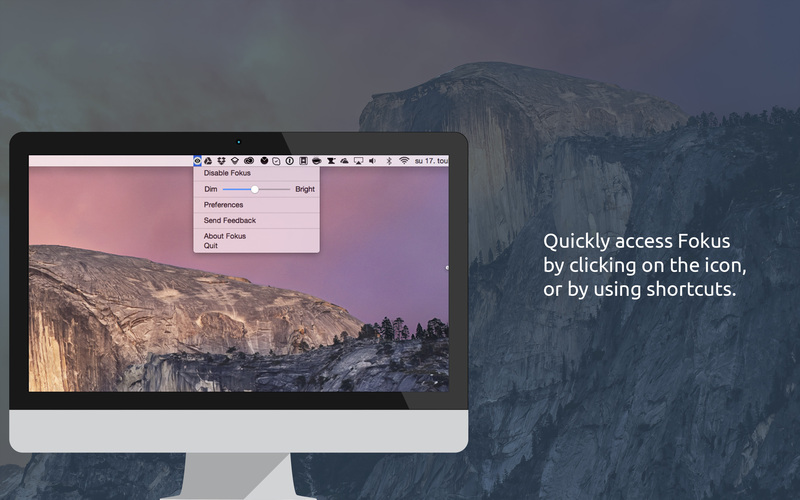 There are far more images available for Fokus, but these are the ones we felt would be most useful to you. If you have specific requests, please do contact us! Please send us an e-mail at [email protected] and we'll get back to you as soon as a press copy is available for you. More information on Didstopia, our logo & relevant media are available here.